Make the heads flip as soon as you dress up in such a attractive Green Colour Georgette Saree. The ethnic Printed work at the clothing adds a sign of attractiveness statement with your look. 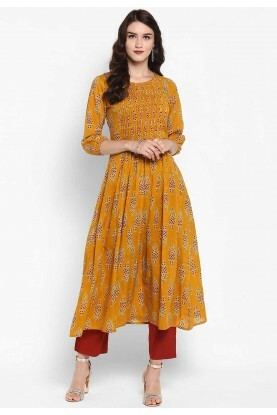 Yellow Colour Cotton Readymade Kurti.